Society has come a long way in regards to body image, with magazines like Sports Illustrated and Women’s Running including plus-size models on the cover – women have been making unbelievable strides in regards to body image acceptance. But what about the guys? Well, thanks to IMG Models, their newest division “Brawn” now incorporates a plus-size men’s models into their already amazing roster. 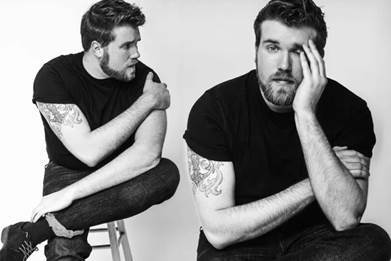 Their first model to be signed is Zach Miko – who previously starred in a plus size ad for Target last year. At 6’6” and 275 lbs., Miko is already making a mark in the fashion industry and has become “the poster boy for brawn men who feel good about their bodies and want to look fashionable” according to WWD. Now, with all of the amazing societal strides aside – can you take a look at him?! It’s no wonder a modeling agency scooped him up ASAP. So is brawn the new black? Only time will tell!